The development of micro and nanoscale additive manufacturing methods in metals and ceramics is important for many applications in the aerospace, medical device, and electronics industries. 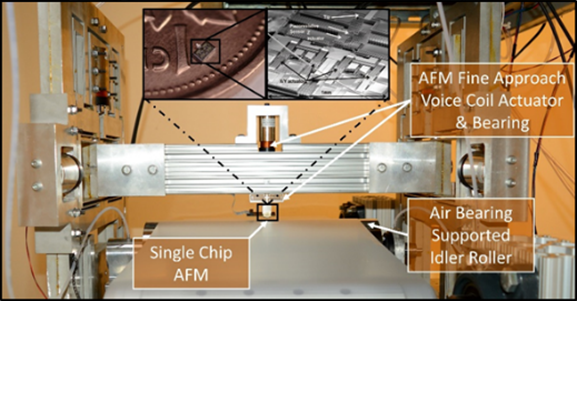 For example, if we can fabricate additively manufactured parts with micron-scale resolutions, it becomes possible to produce materials with controlled microstructures. Such materials can exhibit very high strength-to-weight ratios, which is critical for a number of applications in the aerospace industry. 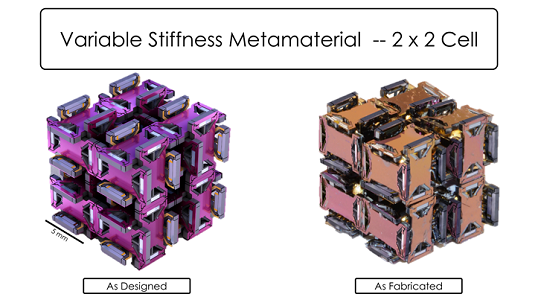 Decades of sustained scaling in IC fabrication has made it possible to obtain extremely high functionality in increasingly smaller die and the proliferation of mobile computing is creating a need for compact, heterogeneous integration of materials and functionalities. These emerging trends have led to great deal of interest in the large scale manufacturing of flexible hybrid nanoelectronic devices. The third area of focus for the NDML is the development of metrology systems for nanomanufacturing applications. One of the major challenges in nanoscale manufacturing is defect control because it is difficult to measure nanoscale features in-line with the manufacturing process. Optical inspection typically is not an option at the nanoscale level due to the diffraction limit of light, and without inspection high scrap rates can occur. The final major focus of the NDML is the manufacturing of nanoscale materials and devices for nanoelectronics, structural, and sensing applications. One of the biggest current challenges in nanomanufacturing is the integration of nanomaterials and mechanisms with micro- and macroscale structures to create repeatable devices. This type of multi-scale integration is necessary because nanoscale materials and mechanisms typically need to interact with the larger world around them in order to produce useful devices and products. (4) The large-scale integration of nanoscale materials such as graphene and carbon nanotubes into nanoelectronic and nanomechanical devices. Congratulations to Dr. Ian Ladner for his sucessful defense and graduation! Ph.D Candidates Martin Ward, Dipankar Behera, and Liam G. Connolly present papers and David Cayll presents a poster on Silicon Wafer Exfoliation, Micro-scale Slective Laser Sintering, Tip-based Nanometrology, and Graphene-based MEMS sensors at the Annual Meeting of the American Society of Precision Engineering in Las Vegas, NV. Congratulations to David Cayll for winning a Best Poster! Congratulations to Dr. Tsung-Fu Yao for his sucessful defense and graduation!